Small Animal Talk: Are cat curfews barking up the wrong tree? Are cat curfews barking up the wrong tree? The neighbour's cat visits a friend's backyard. Her visits are welcomed. Animal control in urban environments is important for the well-being of animals, wildlife and people. Ask any council ranger and they will tell you there is no simple way, and the ways they prefer don't necessary coincide with the preferences of pet owners. What is easy to forget is that animals have NO IDEA of the rules. You can ask your cat politely not to jump the fence, but its unlikely that a fence represents a clear delineation of a property boundary to a cat. A good vantage point, yes. Something to sit on, maybe. A great way to stay out of reach of the neighbour's dog? You betcha. But a bunch of bricks or wood stuck together hardly says "don't jump over me". So responsible cat owners have to do their best to confine their cats to their property. There are plenty of good reasons to do so - confined cats don't get hit by cars, attacked by strange dogs, they are less likely to get into fights [unless an intruder jumps into their yard or bolts into the house via their cat door], they're less likely to be implicated in attacks on wildlife and so-forth. Some people who have the resources enclose their entire property, with something like Cat Max. Well and good. But if your cat just wanders out for a stroll on the footpath in the morning, or pops onto next doors verandah for a wee kip in the sun, is it a big deal? People have very different views about that. Some councils have introduced cat curfews, and Melbourne's Shire of Yarra Ranges is planning to introduce the mother of all cat curfews: a 24 hour curfew. 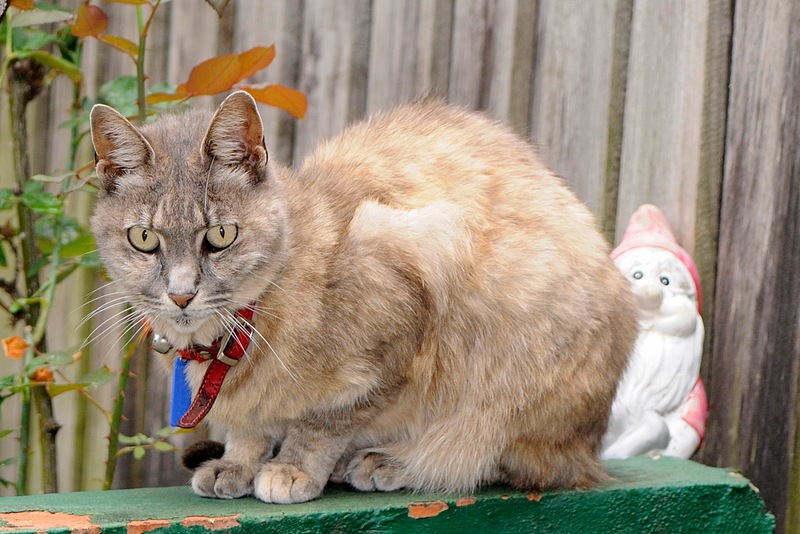 Last week, the Shire of Yarra Ranges announced its plans to introduce legislation requiring cats to be confined to their owner's property at all times. According to The Age, the new law was supported by an online poll of 234 respondents, with almost 60 per cent enforcing the 24-hour-curfew while 39 per cent supported a night curfew. But is a 24-hour-curfew a good idea? Lort Smith Animal Hospital CEO Dr Liz Walker doesn't believe so. “The council itself admits that the law will be difficult to enforce,” she said. Dr Walker said that there were two major issues to consider, both requiring different approaches. “The first is responsible pet ownership. If people have their cats de-sexed, microchipped, vaccinated and kept indoors from dusk til dawn, the problems raised by supporters of the new law – such as fighting, catching feline AIDS and wandering – are largely ameliorated." Waving a big stick at people isn't likely to help. “The way to encourage responsible pet ownership is through being proactive with initiatives such as education campaigns, discounted microchipping and de-sexing programs, and pet ownership support - not through demonising ordinary citizens because they happen to share their lives with a cat." And happening to share one's life with a cat is not a bad thing. As Dr Walker said, living with animals is associated with positive effects on human mental and physical wellbeing. Studies have shown that pet-owning communities are healthier and more connected than non-pet-owning communities. The second issue, and one that will not be addressed by the curfew, is the population of stray and semi-owned cats. Dr Walker said this was by far the major contributor to the problem. “Strays in built up areas will reduce with responsible pet ownership, but feral cats in bushland won’t be affected by the curfew at all," she said. “We need a separate management strategy, such as Trap, Neuter and Release to control the population growth." Dr Walker added that this long-term strategy isn't perfect - but that there isn't a perfect solution. “In urban areas, semi-owned need to be turned into owned cats. Feeding strays without taking the extra step of de-sexing and vaccinating them, is the worst thing that kind-hearted people can do." That requires people who have a big enough heart to feed stray cats to take the next step, get them desexed, vaccinated, microchipped, treated for fleas and parasites and either find a home or move them in. It takes time, investment and adjustment, but in more cases than not it is doable. [A couple of years ago the Australian Animal Welfare Strategy ran its "Who's for cats?" campaign, urging feeders not to "feed a bigger problem". You can watch the video here]. “I hope local councils see reason on the issue and realize that money is better invested in proactive education campaigns, rather than unenforceable restrictions,” said Dr Walker.